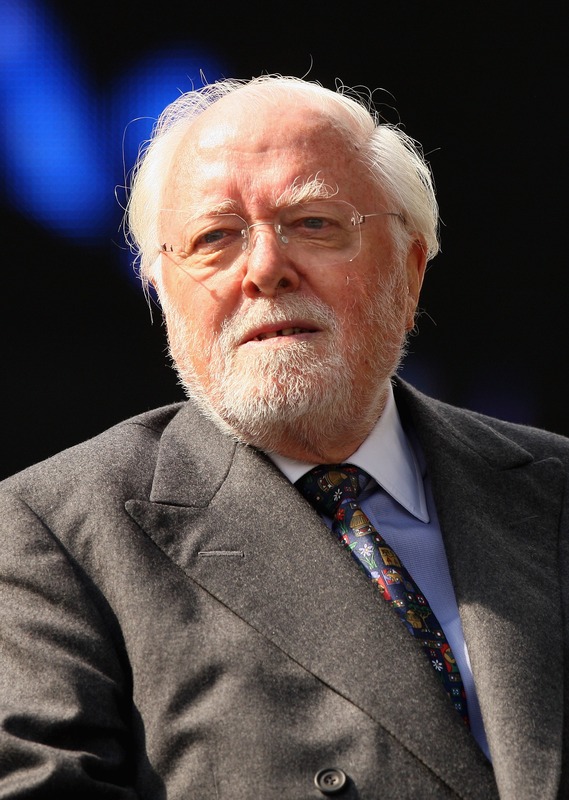 It hasn't been a great month for hanging onto beloved actors: Actor-director and Jurassic Park star Richard Attenborough has reportedly died at the age of 90. According to BBC News Attenborough had been living with his wife in a nursing home for years. He reportedly died Sunday afternoon. Attenborough, who was a baron and the president of the Royal Academy of Dramatic Art (alma mater of such notable actors as Kenneth Branagh, Alan Rickman, Maggie Gyllenhaal, Tom Hiddleston, and many more), is best known to audiences worldwide as the director of 1982's Ghandi and one of the stars of Jurassic Park. Attenborough took home two Academy Awards for Ghandi (Best Director and Best picture), and was also well-known for his acting work in films like Miracle On 34th Street, Brighton Rock, and The Great Escape. He also directed Robert Downey Jr. in 1992's biopic Chaplin, for which Downey was nominated for an Academy Award. According to The Guardian, "Attenborough never fully recovered from the stroke that left him in a coma for several days," which occurred five years ago and left him confined to a wheelchair.